We believe that Living Waters is one of the most romantic & peaceful places on earth to host your intimate wedding weekend! We know, because we’ve done it ourselves. 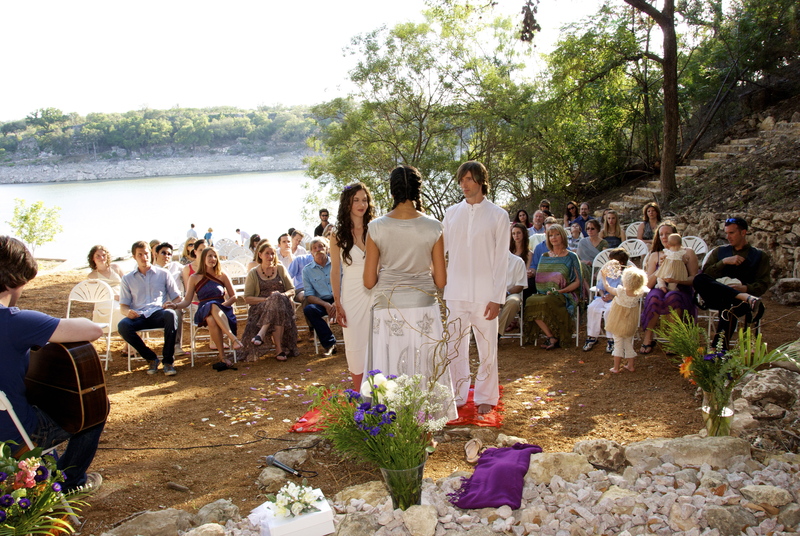 Let us help you create a wedding that reflects the beauty of your sacred relationship. Our property is able to accommodate up to 20 overnight guests and the land offers plenty of nature-filled spaces for a truly unique ceremony, reception, & weekend activities. We also offer a list of recommended vendors to help you get started on planning an event in our area. Need a local professional photographer? We highly recommend giving John Bishop of Texas Hill Country Photography a call. Wedding packages start at $4,200 and include exclusive use of the property and private lake access for two nights plus a bonus 3rd night in our Luxury Straw Bale Home for the bride and groom.